Located in Payson, Arizona the Humane Society of Central Arizona serves Gila County with a geographic area which includes the communities of Pine, Strawberry, Happy Jack, Whispering Pines, Fossil Creek, Rye, Gisela, Star Valley, Christopher Creek, Forest Lakes, and beyond. We also collaborate with animal rescue organizations throughout Arizona and beyond to bring animals together with lost families and to place animals in the best possible forever homes. We currently handle more than 1400 animals per year but many more must be turned away due to lack of facilities. Each animal who comes to us is evaluated and when possible, healthy animals are held until adopted. Those animals with special needs that are determined to be treatable are cared for until an appropriate home is identified. We respect animals as intelligent beings. We value animals as beings who possess emotions including unconditional love, happiness, joy, fear, sadness and pain. We strive to alleviate suffering of animals. 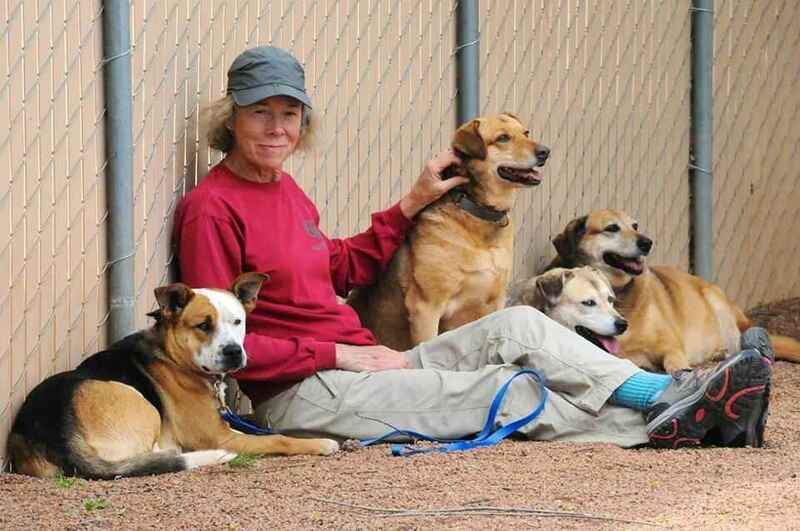 We believe in the abilities of animals to be teachers and healers for their human companions. We consider non-human animals to be partners in our human life journey and strive to develop and implement programs to make our community a more humane place for all. Our mission is to provide shelter and compassionate care for animals who are lost, abandoned or homeless; to place animals into loving homes through adoption; to improve the lives of animals through education and example; to promote spay and neuter of companion animals; and to provide a shelter where animals who come into our care are nurtured in a loving space while healing from fear, physical or emotional trauma, mistreatment or loss of a caregiver. Matching funds is a great time to give. Thank you to all the volunteers and staff, from the bottom of our hearts (Enzo & Devo). We are lucky to have the Humane Society of Central Arizona! I adopted my Little Ricky from the Humane Society. I love animals so much! I just love animals, and this Shelter is so wonderful. These animals are God's greatest creations. We should honor and take care of them always. Payson should be very proud of our animal shelter and all the services it offers. Thank you, to all the staff,volunteers and donors keeping it going. Humane Society of Payson gave my little dog, Buddy, a 2nd chance to be successfully adopted. Thank you Rita Anderson! Buddy is loved and happy.